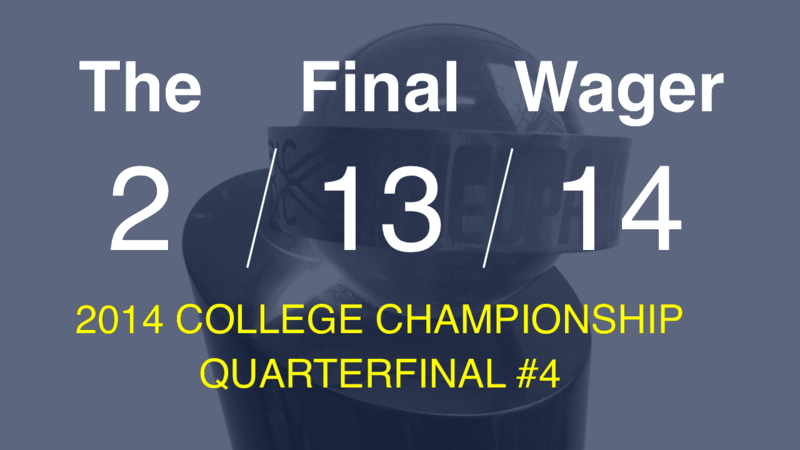 In this penultimate quarterfinal game, we’ve got Vanderbilt, Texas A&M, and Harvard. Who will be moving on to the semis? A roller coaster of a game tonight, with a shout-out to someone’s graduation year. Here’s how I’d handle each player’s situation. 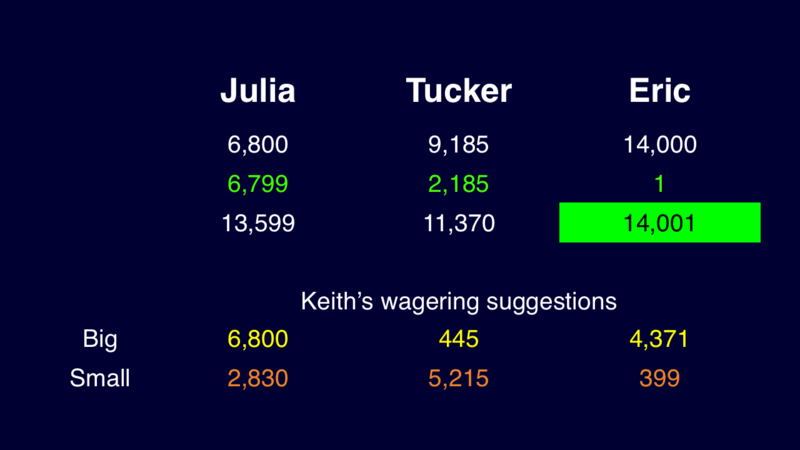 Julia should go all-in, as her score is not quite good enough as it is (14th percentile). Thanks to her big wager, Julia locks up the second wild-card spot, joining Kevin Chen of UCLA as a semifinalist. Tucker might have some buyer’s remorse. Each day I’ll update the standings with my estimated chances of advancing for the wild-card candidates. These are based on past data compiled for my tutorial. Correct response: What is Arlington National Cemetery?